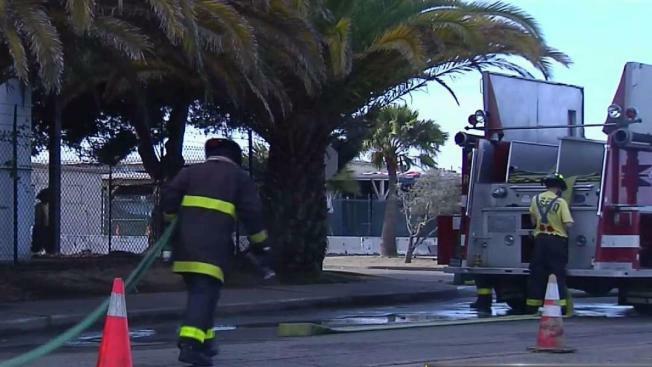 Eight cadets say they are victims of racist abuse and hazing at the San Francisco Fire Academy, according to a letter they wrote to the city’s fire chief obtained by NBC Bay Area News Friday. “We are the men of color of this 123rd Probie class and all we want is to work hard and graduate earning the Firefighter badge for the City of San Francisco,” the recruits say in the 18-page letter they sent to Chief Joanne Hayes-White this week. The “N” word was used in the context of an acronym, coined by Tupac Shakur: “Never Ignorant Gets Goals Accomplished” as referred to in the letter. Battalion Chief Kevin Smith, head of the city’s Black Firefighters Association, said similar allegations have been raised by other rookies from past classes. Last week, Mayor Ed Lee signed off on a $100,000 legal settlement with three former cadets who alleged they were hazed and suffered racist abuse at the academy. “They tell some horrific stories of rude, indecent disparate type of treatment that they have suffered at the hands of the training staff,” Smith said of the latest allegations. Another veteran firefighter, Capt. Sherman Tillman, expressed dismay at the cadets’ claims. Change has been slow to come at what is known in the department as “The Tower,” Smith said. “It’s sad, it’s disappointing,” he said. “And, I would hope that this department would take it as an embarrassment that this keeps popping up. Chief Hayes-White hasn’t commented on these recent accusations, but a department spokesman said the chief just received the letter and was still reviewing the allegations. “The Department takes allegations very seriously and will thoroughly investigate any allegations or concerns brought forward and take appropriate action,” department spokesman Lt. Jonathan Baxter said in a statement.